Each cardmember can receive and redeem up to a maximum of 3 shopping voucher from 1 Mar – 31 Jul 2018. 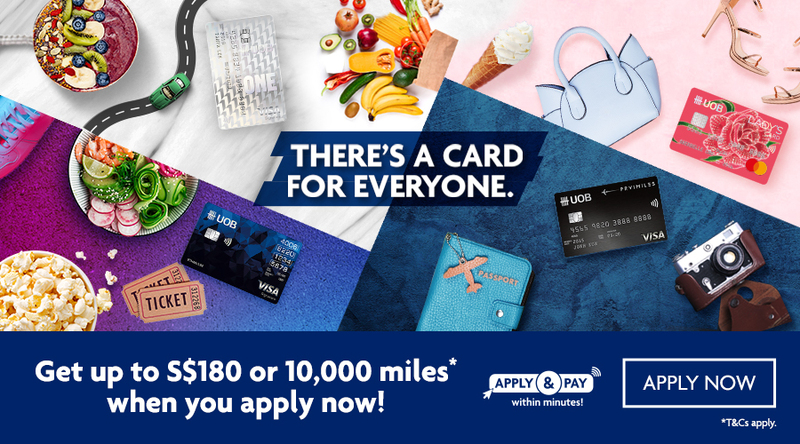 From 1 Aug – 28 Feb 2019, only one voucher will be issued for every cardmember. To redeem, Cardmembers are required to present their UOB Card and valid passport for verification. Voucher/Coupons terms and conditions apply. All payment must be made with UOB Cards.